Looking to add to your promotional merchandise with a women’s winter jacket? The Softshell Lite Ladies Jacket is a great option for businesses in the lifestyle and adventure market. These jackets feature hi-tech breathable 2-tone laminated fabric, a storm flap, side toggles, adjustable velcro straps on the sleeves, full zip front and zippered pockets. With four great colour options, and available in a variety of sizes, these jackets will help promote your brand wherever they are worn. Promotional jackets are a good way to market your business in the lifestyle and adventure clothing and accessories market. These jackets are light enough to wear out watching the kid’s sport in winter, as well as being warm enough to wear whilst kayaking or hiking. 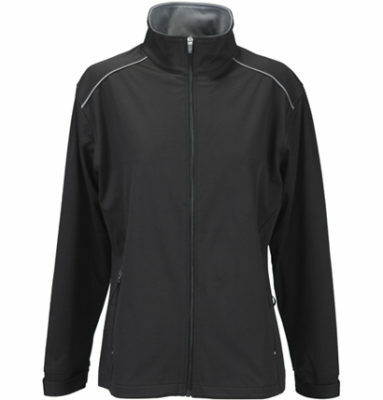 The Softshell Lite Ladies Jacket is breathable, has natural stretch and will protect the wearer against cold winds. Team the Softshell Lite Ladies Jacket with the men’s version for comfortable and easy to wear promotional merchandise for your business.